A cop (George C. Scott) investigates brutal murders similar to ones committed by a long-dead serial killer. But the decapitations and crucifixions couldn’t be the work of the “Gemini Killer” - or could they? 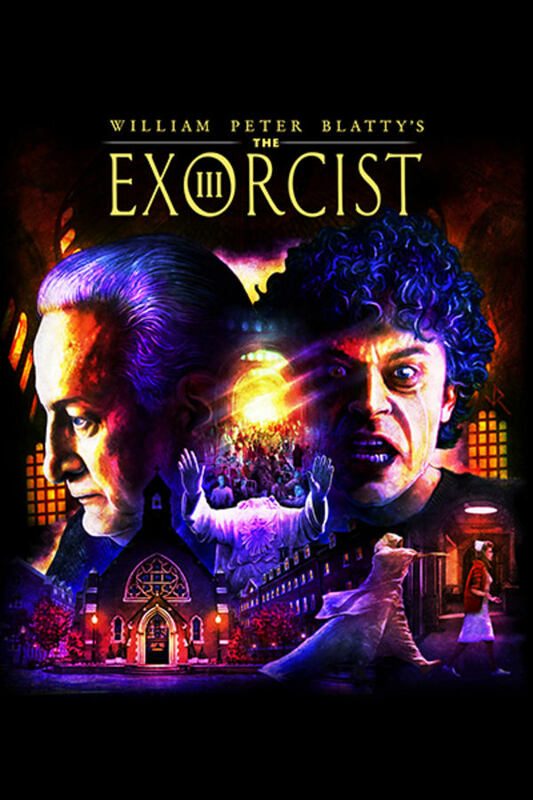 After his priest is butchered in a hospital, Lt. Kinderman traces the clues to the psych ward, where a patient claims to be Damian Karras (Jason Miller), the priest who died during the final moments in THE EXORCIST. William Peter Blatty’s complex adaptation of his sequel novel, “Legion”, contains a hallway scare scene that belongs in the horror history books. both 1 and 3 are my favourites of the franchise, great acting, great cinematography, decent effects (for the time), and like 1, a treasure trove of samples. even if some parts are kind of hokey, they're still both classic top notch horror flicks. I will often open up this film to just watch the incredible monologue around 55:48. Such great acting and passion! Well directed slow burn that gets crazy at the end. A little slow moving but better than its reputation. Of course, it can't hold a candle to the original, but taken on its own merits it's an effective chiller with strong performances.